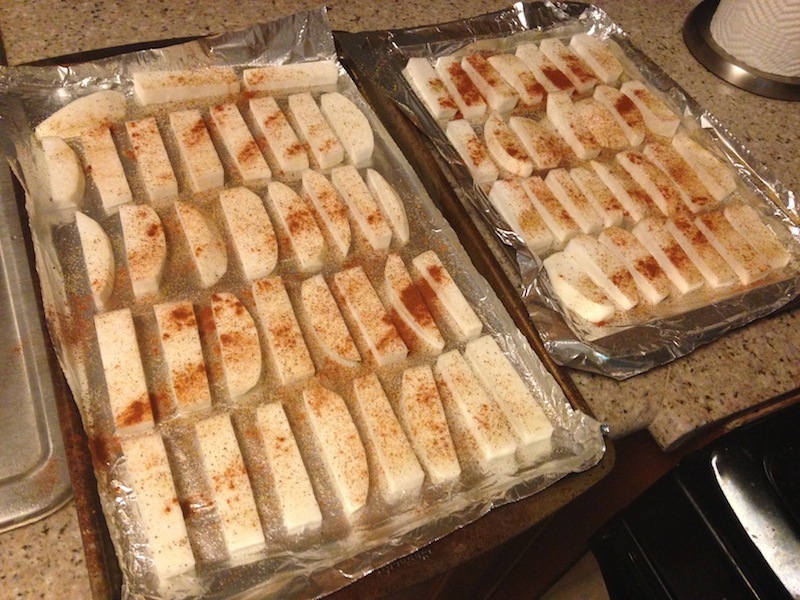 Easy-Peasy Turnip Fries | Keep It Up, David! 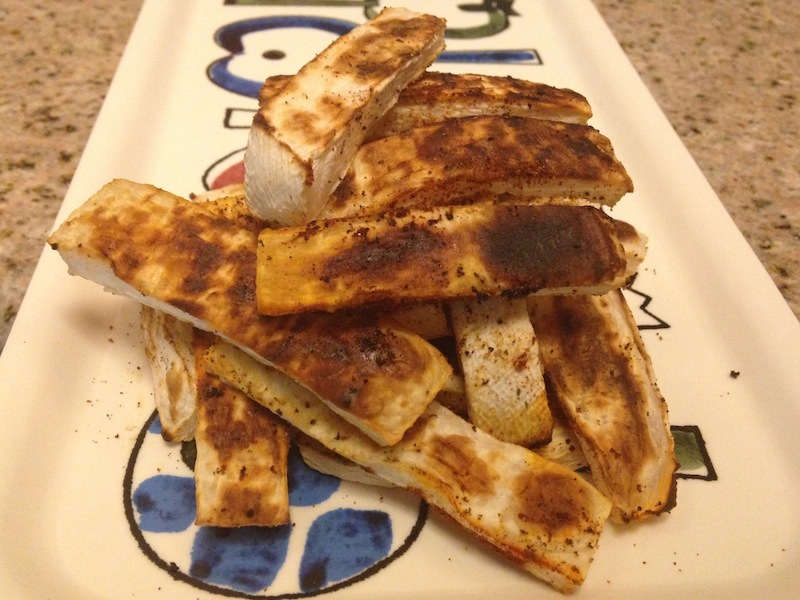 I first tried turnip fries at a party my friends Heidi and Tom threw a few years ago. I don’t think you’d ever mistake them for actual potato French fries, but they’re a good alternative, and they satisfy my cravings for fries (and my love to dip things). Plus, turnips have roughly 1/3rd the calories and carbs that a potato has, so they’re really healthy, too – especially when you bake them, like these are. 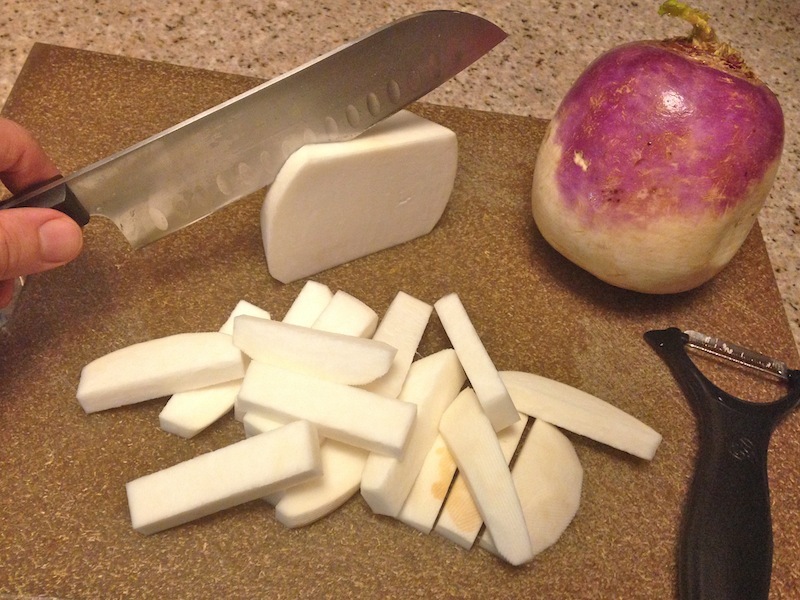 2) Peel your turnips and cut them into fries. I like thicker fries, but do what you want. I used two beautiful, big turnips from the LA Salad Company. 4) …seasoning. I liberally sprinkled Mrs. Dash (table blend), and then, for some bolder flavor, smoked paprika. 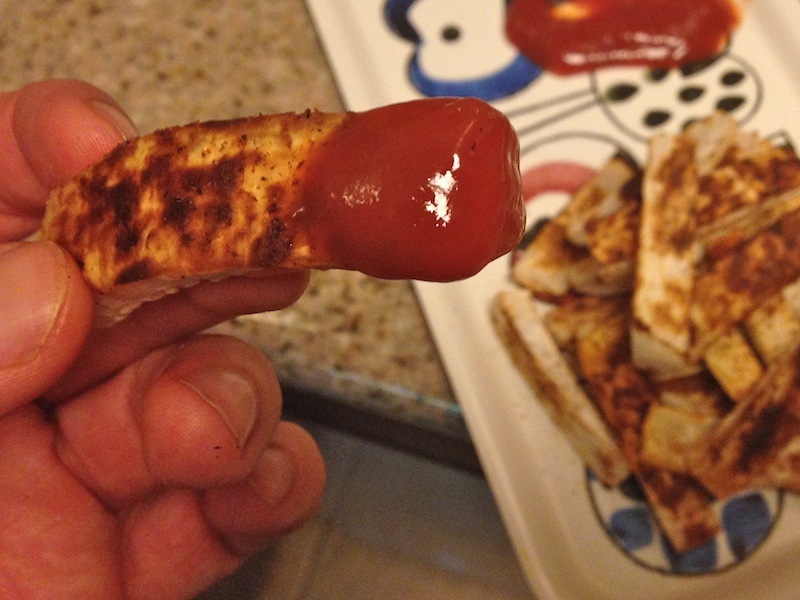 5) Get out your ketchup or other desired condiments, because they’re done! For another way to use turnips, check out my Minestrone recipe. Plus there’s lots more healthy recipe ideas on my Recipes page! This entry was posted on Friday, October 24th, 2014 at 12:01 am and is filed under Uncategorized. You can follow any responses to this entry through the RSS 2.0 feed. You can leave a response, or trackback from your own site.